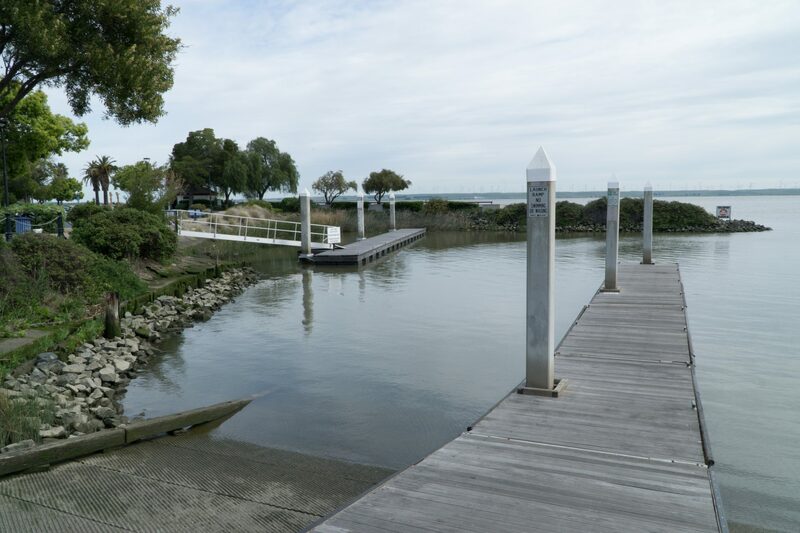 The Pittsburg Marina is used by both motorized and non-motorized boaters, providing access to the waters of the San Joaquin/Sacramento Rivers, with access to the San Francisco Bay to the west and the Delta to the east. With sweeping views of islands, marshy shorelines, and . The City offers seasonal equipment rentals. 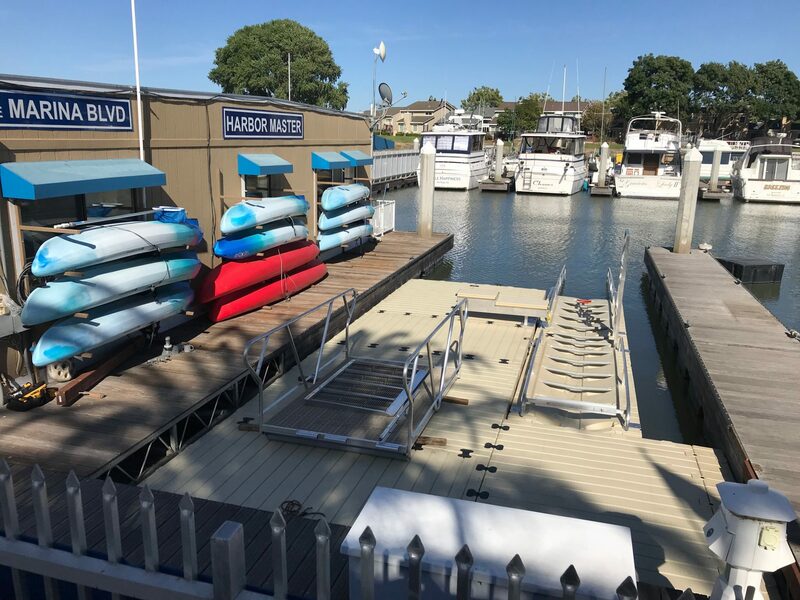 A slip adjacent to the Harbormaster Office has been designated for non-motorized small boaters and includes a recently installed low-float EZ Launch Accessible Transfer System connected to composit high-freeboard docks. This system includes guide rails for easy access in and out of the water, launch rollers, and a transfer bench and transfer slide boards that allow users to sit, slide over and drop down into a kayak or canoe then to use the side rails to pull off or back on. Additionally there is a SUP grab bar to assist in balance when launching and landing. 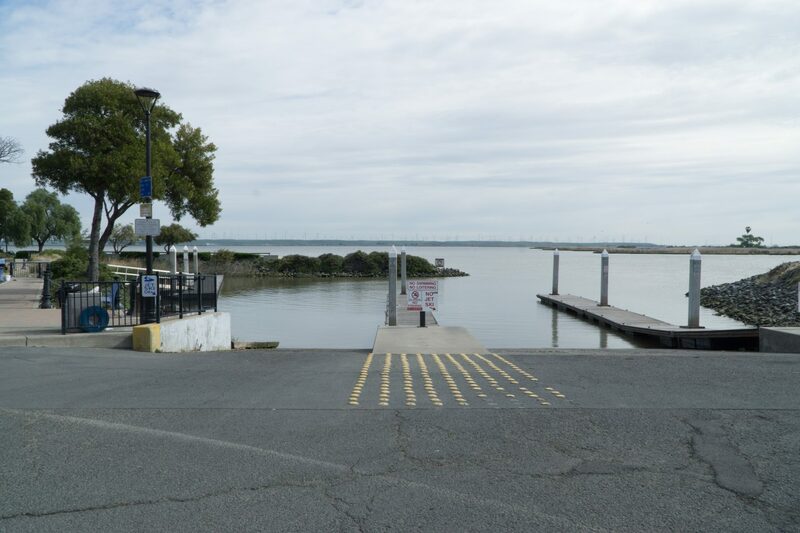 The primary small boat launch facilities are located behind a locked gate adjacent to the Harbormaster Office. Access to this launch is open to the public upon request seven days a week from 8am – 5pm. 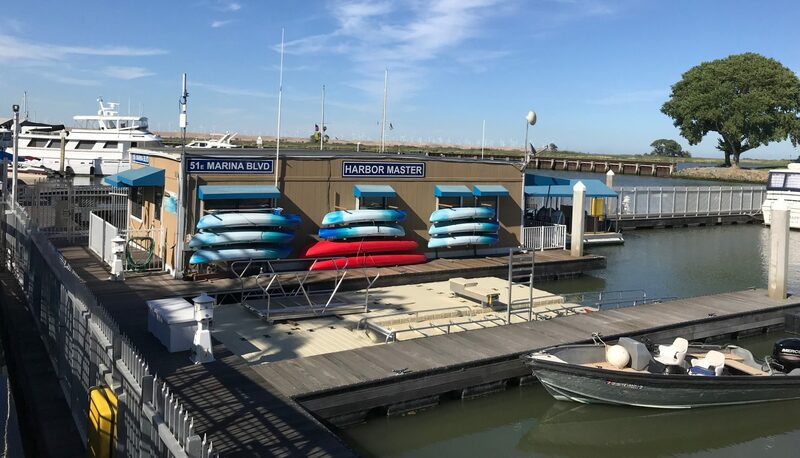 The Harbormaster is on-site Monday-Friday 8am-5pm, and Marina Staff are on-site Saturday and Sunday 8am-5pm. 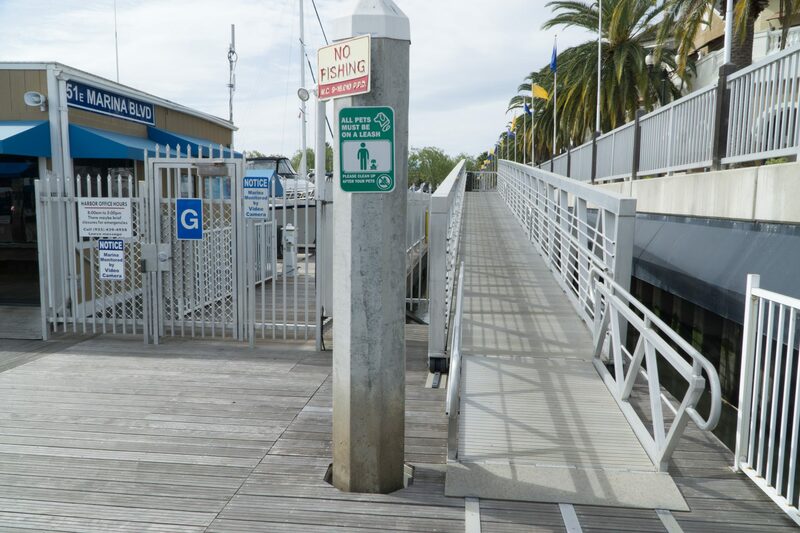 Access to the Marina’s high-freeboard docks is via an ADA gangway. The City offers kayaks and SUP rentals at this location along with paddles and life jackets. 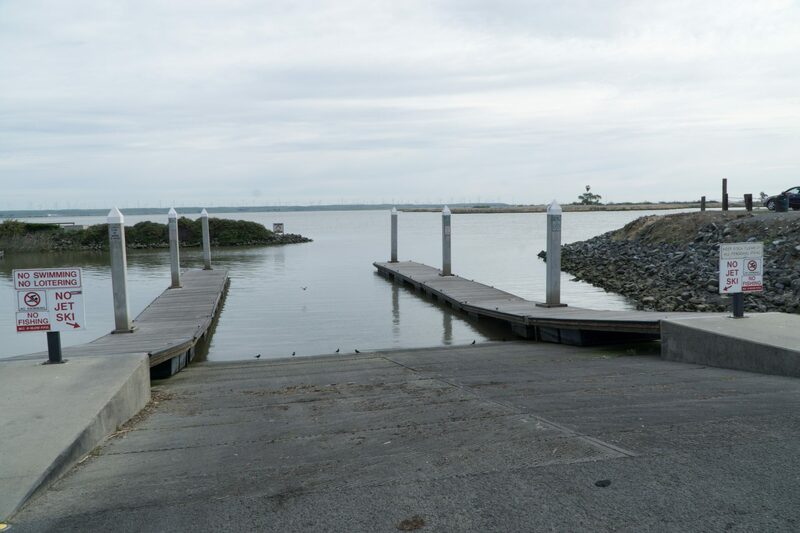 Additional boat launch facilities consist of two corrugated cement boat ramps with two high-freeboard docks. The high-freeboard docks are made of wood and extend approximately 100 feet. This launch is designed primarily for trailered boats, but is used by many different boat types. There is also a non-motorized boat launch ramp to the northwest of the ramps with pedestrian access. The Pittsburg Marina is located north of downtown Pittsburg along the San Joaquin / Sacramento River. There is a parking lot with space for ~50 vehicles near the Waterfront Grill and Cafe close to the small boat launch. 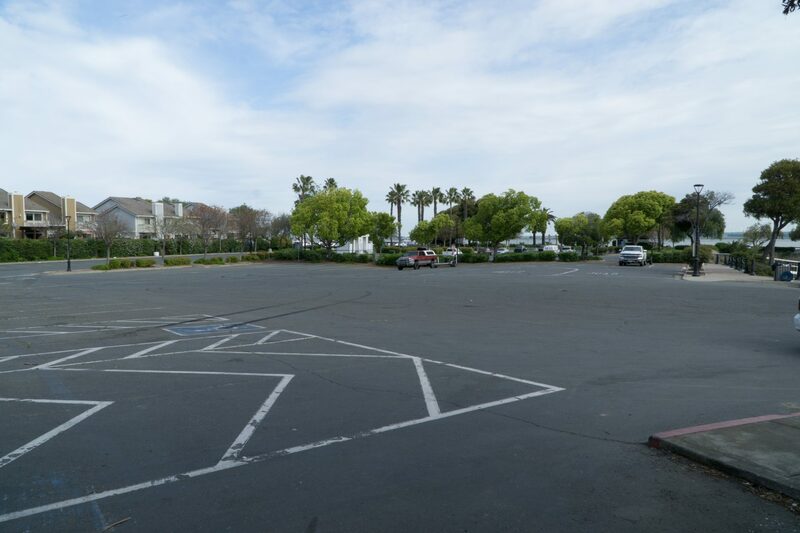 A larger surface lot with space for 100+ vehicles and trailers is located further north in the Marina. 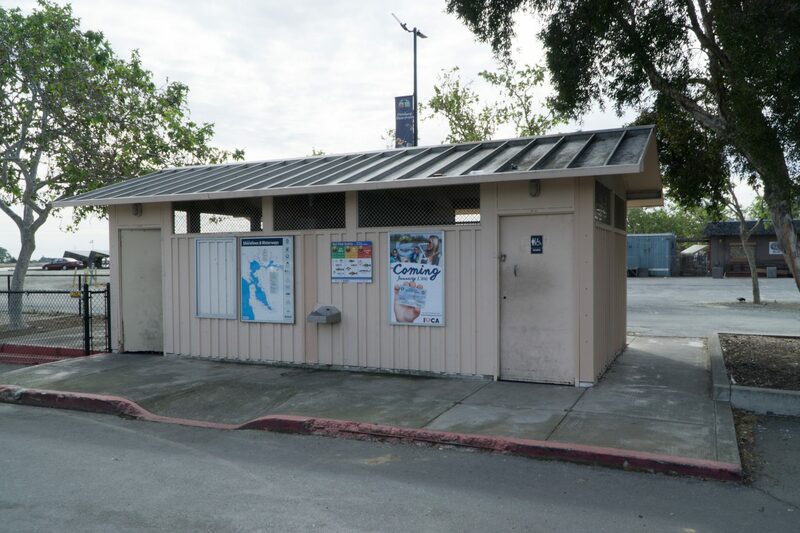 Public ADA restrooms are available within businesses near the top of the small boat launch. There are also public restrooms located near the boat launch ramp. 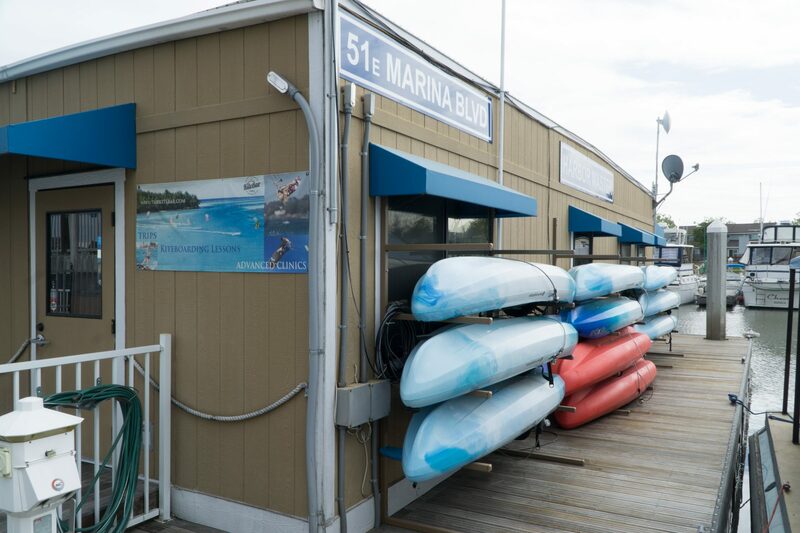 The City offers rental kayaks and stand-up paddleboards, which can be reserved online or by calling the marina. 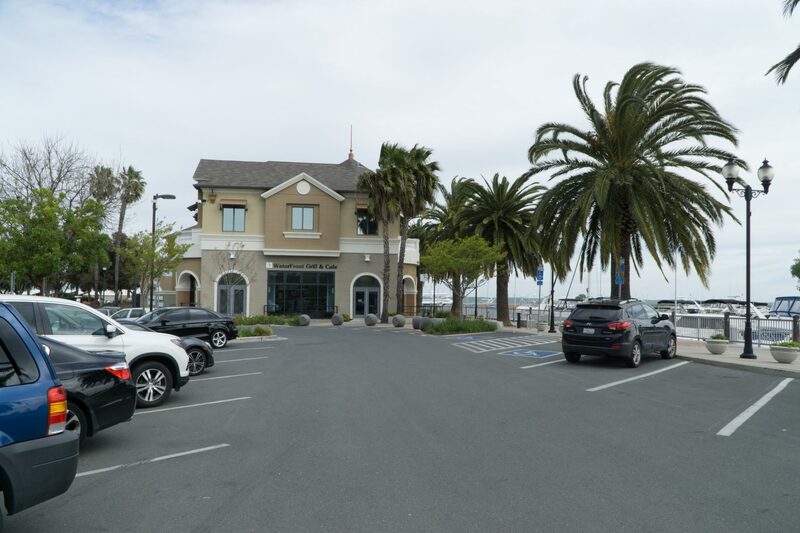 There is a restaurant located adjacent to the small boat launch called the Waterfront Grill & Café. It serves breakfast, lunch, and dinner with a full bar. Additionally, several annual events for boaters are hosted at the Marina, between the launch ramps and the ADA kayak launch.  These events include karaoke, trivia, and open mic nights, wine and beer tasting every first Friday of summer months, 4th of July Fireworks Viewing, a Seafood Festival, a Jazz, Blue and Funk Festival, a music in the park concert series, and a classic car show. Additional information is available on the Pittsburg Marina website (www.pittsburgmarina.com/events). The Marina Launch has been designed to meet ADA standards. Facilities include an accessible gangway that leads to a composit dock. The gangway meets ADA slopes at all tides and is located adjacent to the kayak launch. The kayak launch includes a low-float dock with handbars, rollers, and a transfer system. 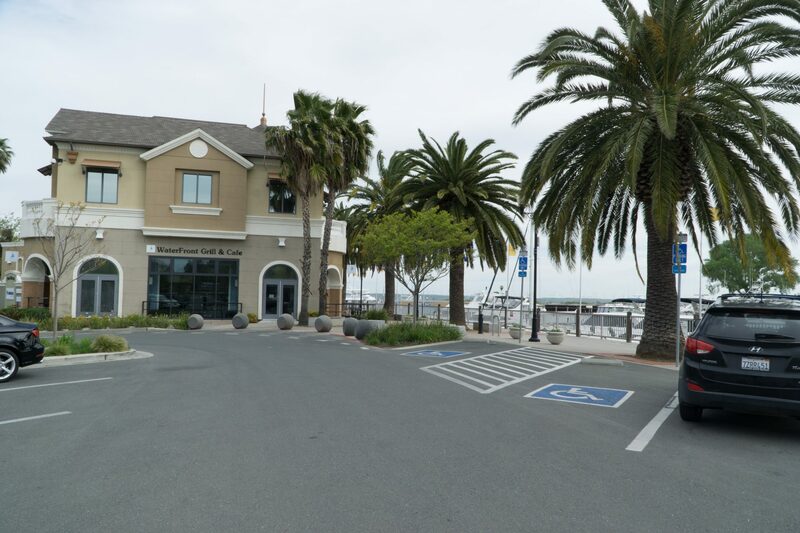 The ADA parking spaces and a paved path of travel from the parking area located approximately 350 feet south of the Marina Launch. ADA restrooms are located within the building near the top of the launch, via an accessible path of travel. Winds and currents on the rivers can be strong; paddlers need to take care to stay within their skill level. Winds are particularly strong in the summer. Duck hunting occurs in nearby wetlands October to February. 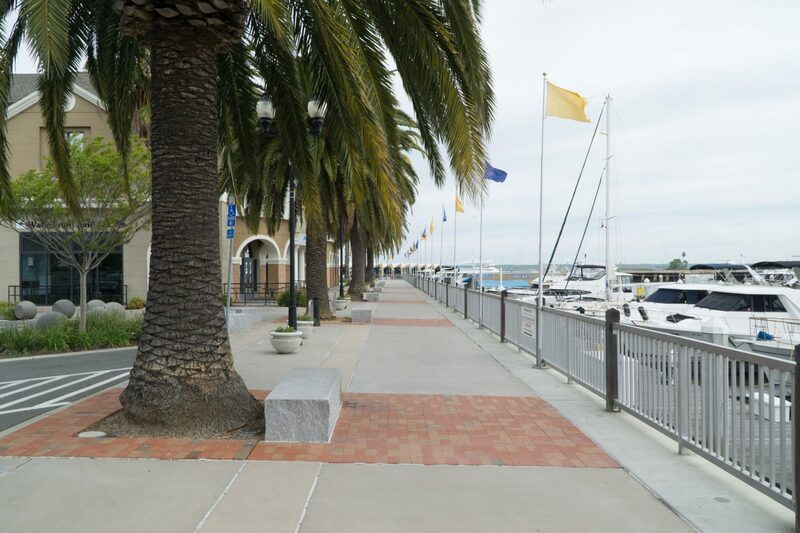 Outside the Pittsburg Marina, small craft should be cautious and avoid the barges and other large ships that frequent the shipping lanes along the San Joaquin and Sacramento Rivers. Cargo ships, motorized boats, and sailboats are regularly moving along the rivers and within the Marina, so small non-motorized boats need to take caution to avoid these vessels. Extensive marshes known to contain sensitive species and habitats occur on islands and along the shoreline of the San Joaquin and Sacramento Rivers in the vicinity of the Pittsburg Marina. Browns Island Regional Shoreline is located across New York Slough from the Marina. Browns Island is managed by the East Bay Regional Park District and contains six rare and endangered plant species and habitat for a variety of birds. There is no public access to the Island.